as you know, I am always on the look out for beauty products that are not only made of natural ingredients but are also non-irritating to my skin. I remember using puffs and scrubbers when I was younger, but now I tend to shy away from them because they can be too harsh for my face. 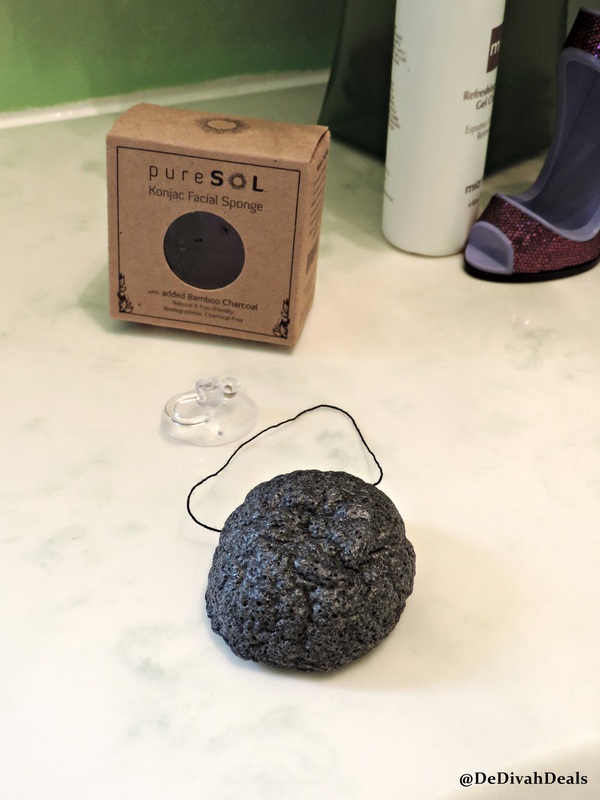 I recently ordered this pureSOL 100% Natural Konjac Facial Sponge from Amazon and my first impression was one of concern because it was very hard. However, after soaking it for a few minutes in the sink it became fully soft. 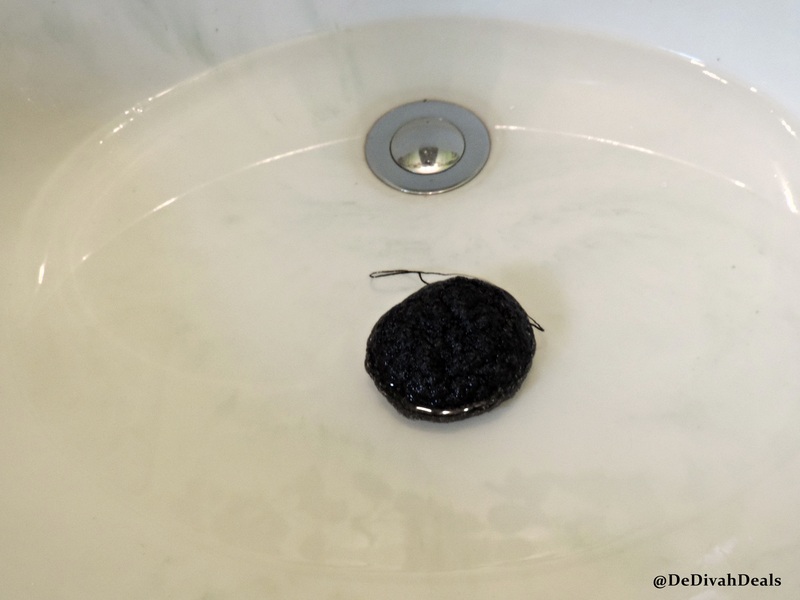 Soaked in the sink for a few minutes turned this hard sponge into a very soft one. pureSOL Konjac Facial Sponge is 100% natural and eco-friendly, free of parabens, sulphates & chemicals, is biodegradable, cruelty free and vegan. I only needed to use a small amount of my favorite facial cleanser and along with the pureSOL sponge it cleaned my face gently with no irritation. 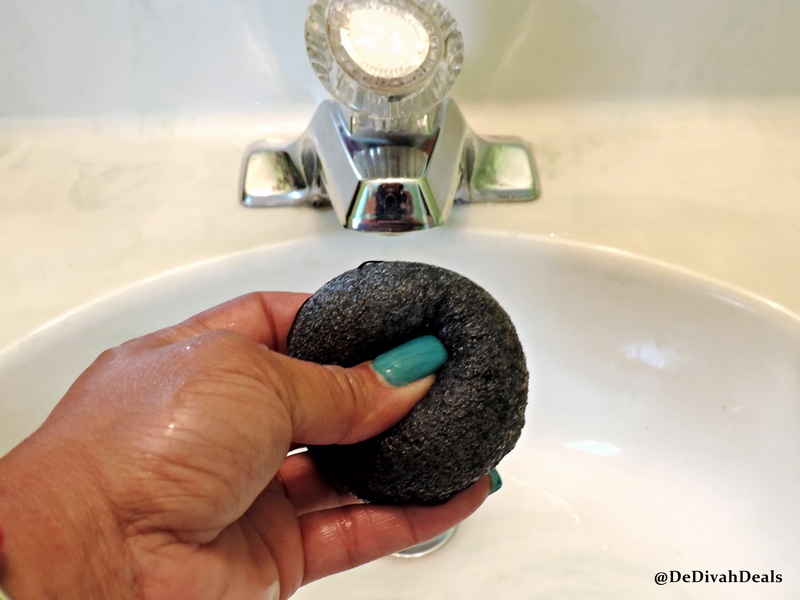 The pureSOL Konjac Facial Sponge gently exfoliates while deep cleansing and removing any toxins and impurities, leaving a radiant complexion. 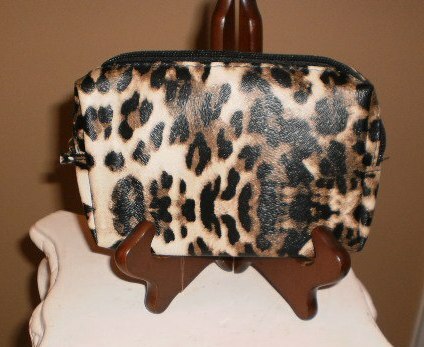 It is extremely soft and gentle for everyday skin care. Great for all skin types. The natural woven fibers of the sponge gently massage the skin and stimulate blood flow. It detoxifies and encourages skin renewal while balancing the skins pH, leaving your skin extremely clean and refreshed! The added BAMBOO CHARCOAL contains activated carbon and essential minerals to deeply cleanse and absorb excess sebum, toxins and other harmful chemicals from your skin. 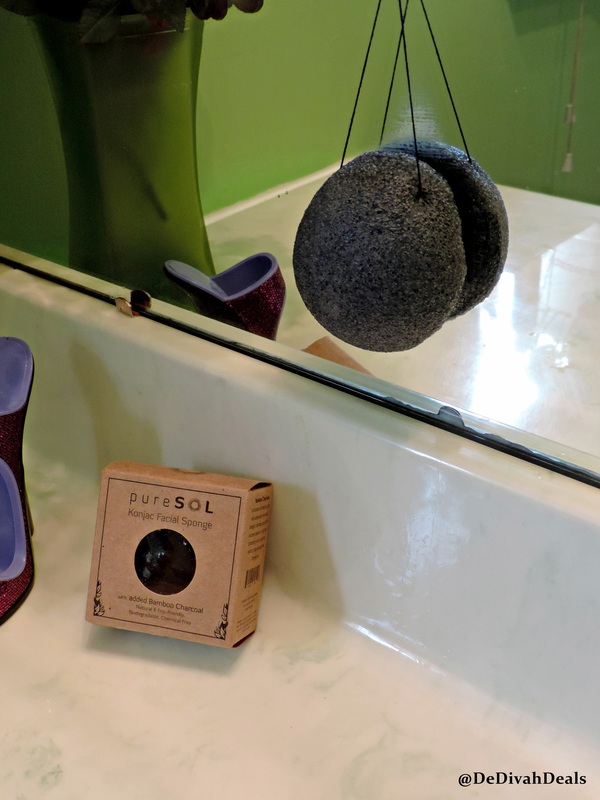 pureSOL Konjac Facial Sponge comes with an EASY-TO- HANG SUCTION HOOK, perfect for hanging in a well-ventilated space so it’s dry and ready for you to use the following day. It is recommended that you replace the sponge every 2-3 months and because it’s biodegradable, just throw it into your plants or garden soil. 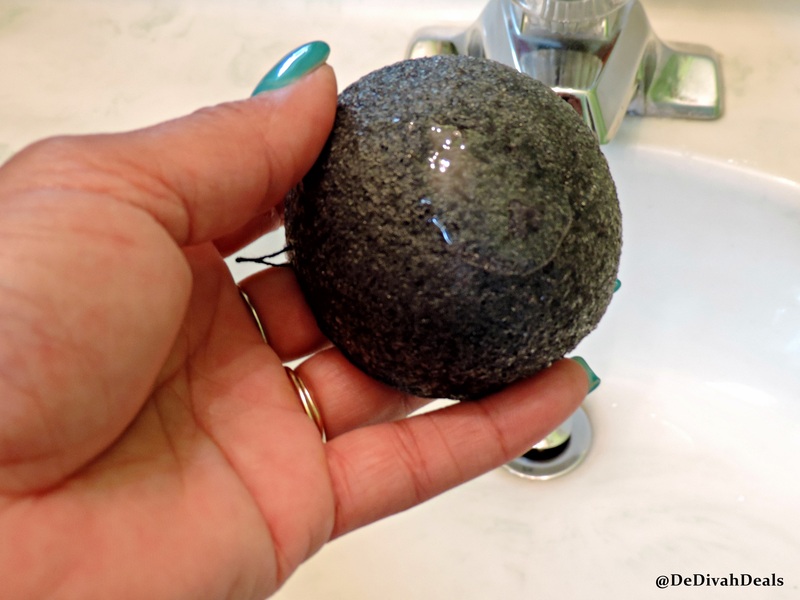 You can order your own pureSOL Konjac Facial Sponge today from Amazon.com and it will ship to arrive quickly to your home or place of business. Hello friends, I hope you are having a terrific day. Last week after watching those family videos I started thinking more about my grandmother. I remember her looking at her hands and saying, “wow, my hands look so old“. When she’d say that, I would hold both of her hands in mine, give them each a kiss and say, “Mama, your hands are so beautiful”. 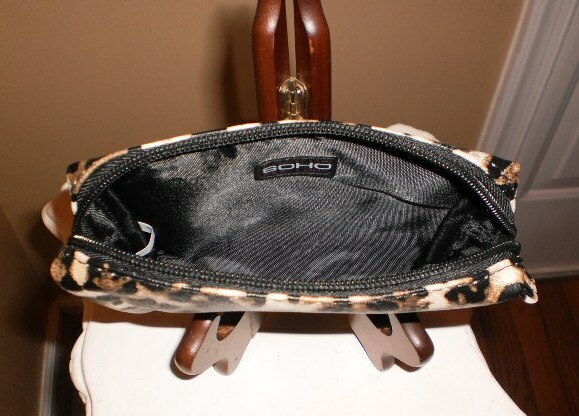 Keeping her hands smooth and wrinkle free was always a major concern of hers and now it has become one of mine. When I look at my hands I too see signs of aging, and although that isn’t a bad thing I do know how she felt. 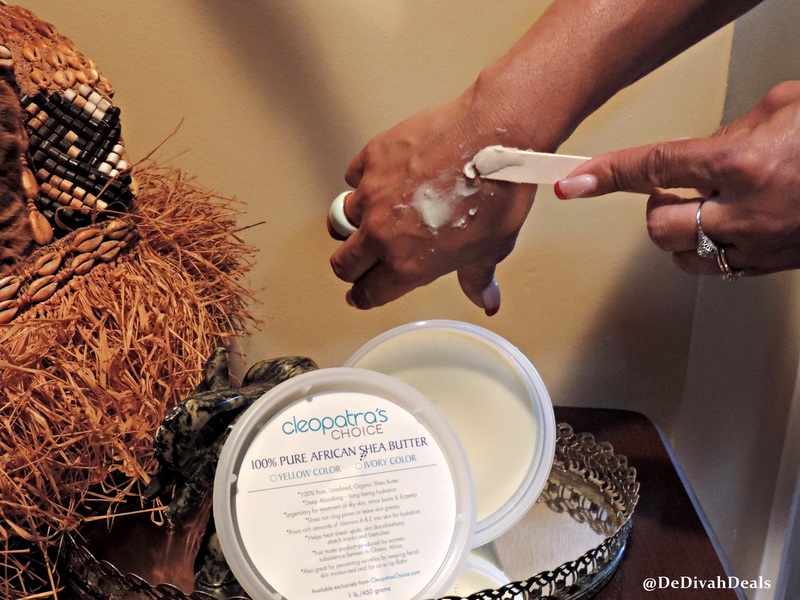 Cleopatra’s Choice 100% Pure African Shea Butter is a great treatment for minor burns, eczema, dark spots, discoloration, blemishes and dry skin which can make you look older. Pregnant women and new mother’s can also use pure Shea Butter to treat stretch marks. 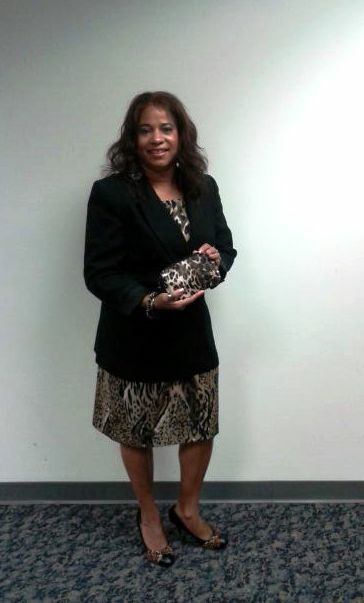 Cleopatra’s Choice is a fair trade product produced by women subsistence farmers in Ghana, Africa. 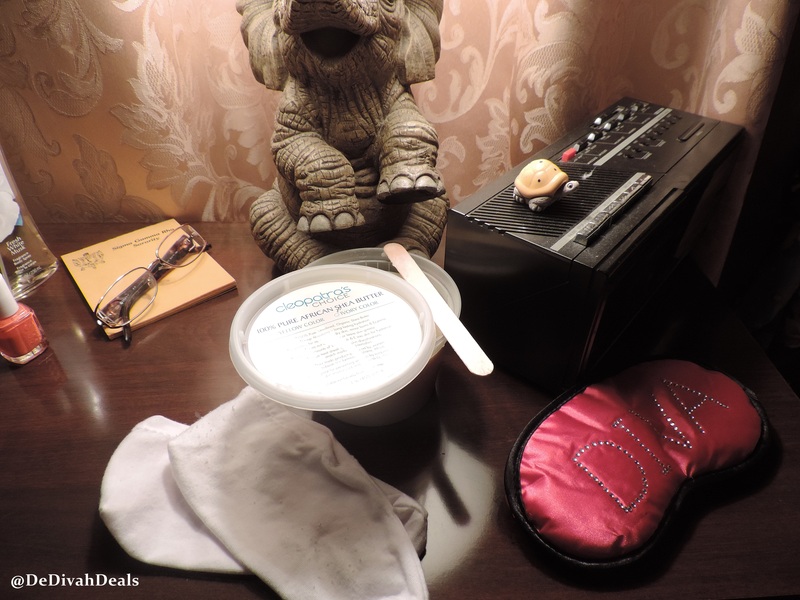 Because Shea Butter is good for preventing wrinkles and keeping your skin moisturized, I keep this container on the nightstand as a reminder to use on both my hands and feet before going to bed. There is no overpowering scent to this long lasting, deep absorbing Shea Butter and it will not clog my pores or leave my skin feeling greasy. 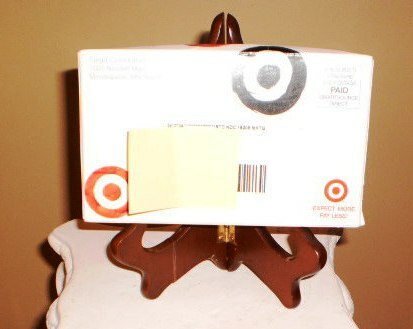 This winter I’ll probably use it on my elbows and knees before leaving the house in the mornings. 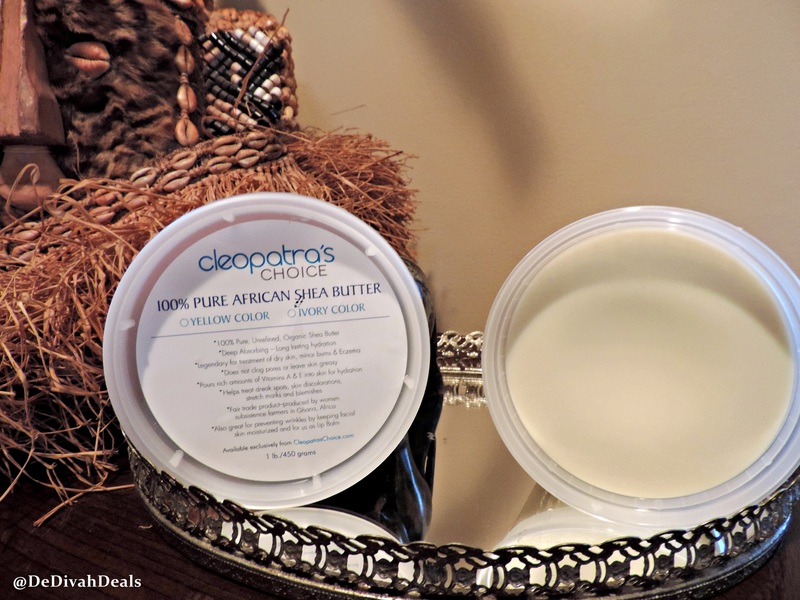 Cleopatra’s Choice 100% Pure African Shea Butter can be ordered from Amazon.com and it will be quickly shipped so that you can have it before the end of sandal season. Can you believe that summer is almost over? It is definitely true when they say, “time flys when you’re having fun!” Outdoor fun in the sun may be coming to an end but don’t pack away all of your SPF facial products. 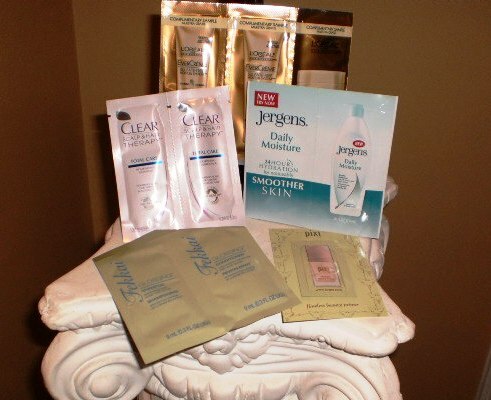 Skin protection in the fall is just as important as it is in the summer. 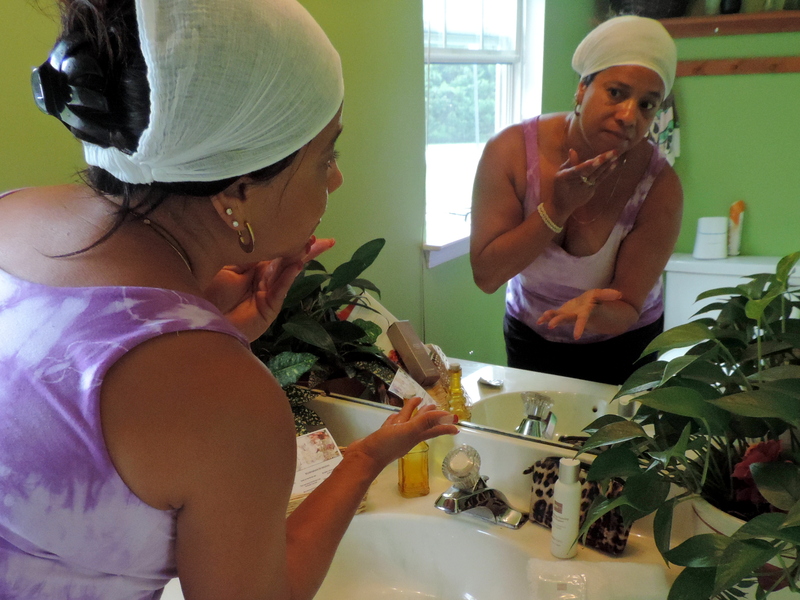 I recently had an opportunity to review a few facial products from Mia Mariu, a company that carries a full line of beauty products for all skin types. Their products are made in the USA, are not tested on animals and the moisturizer contains SPF30+..
For this review, I received a 4.0 oz bottle of Refreshing Foaming Gel Cleanser a product that is Sulfate free, irritant free and made with several natural ingredients. 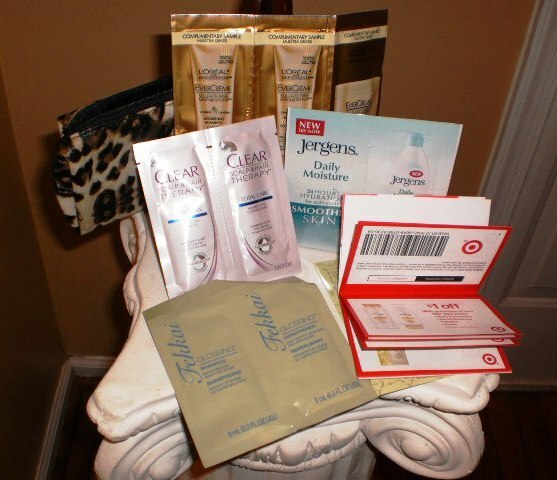 The package also contained a sample packet of their RestauraCel-C Microdermabrasion Refinisher Cream, Microdermabrasion Activator and Hydrating Moisturizer SPF 30+. Following the instructions after cleansing my face it felt smoother and looked a bit brighter. Mia Mariu’s Refreshing Foaming Cleanser is an anti-inflammatory formula with 8 natural botanicals! Aloe, marigold, sea kelp, sea lettuce, plus nourishing essential oils: orange peel, lemon, lime and grapefruit. 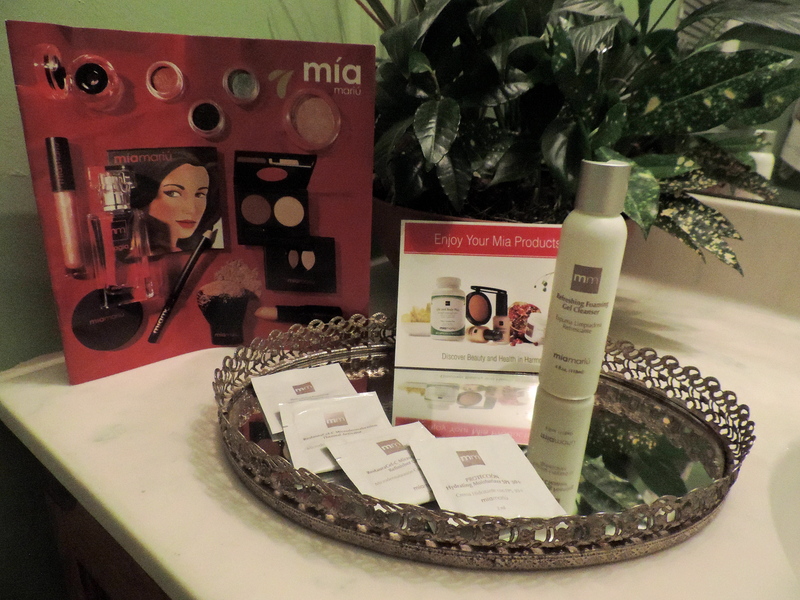 Mia Mariu is a company that carries a full line of health and beauty products for all women. High quality botanical skin care, mineral cosmetics and nature’s nutrients. They have also offered to give away one 4 oz bottle of the Refreshing Foaming Gel Cleanser to one of my lucky readers. Giveaway will end at midnight on *9/8/14, so enter today then spread the word!